Lilacs see to have sprung into bloom… gracing gardens with their perfume and their beauty. From the trees sprang a myriad of sounds and critters. Chirruping squirrels, chasing one another in the thrill of spring’s ecstasy. Tree frogs…completing the chorus with croaks, trills, bleats, and grunts. At night it can sound like a fleet of fire trucks descending on the neighborhood. 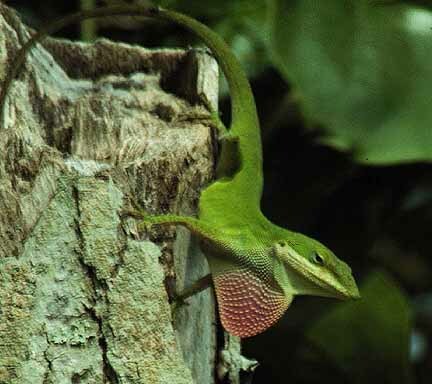 The anoles don’t have a lot to say as they leap and slither about the limbs or run along the morning glory shrouded fence. 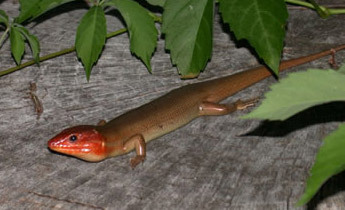 Skinks slither under the raised garden beds, hide in the damp shade beneath the kids’ sand/water table. 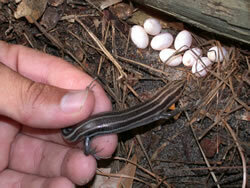 Already broadhead skink females are hidden in my woodpile, guarding and tending their clutches of tiny white eggs. The males, with their big red heads are much more imposing than their ladies and less skittish. They love it up in the big live oaks. Spring is here in the Lowcountry. It couldn’t have sprung up at a better time. 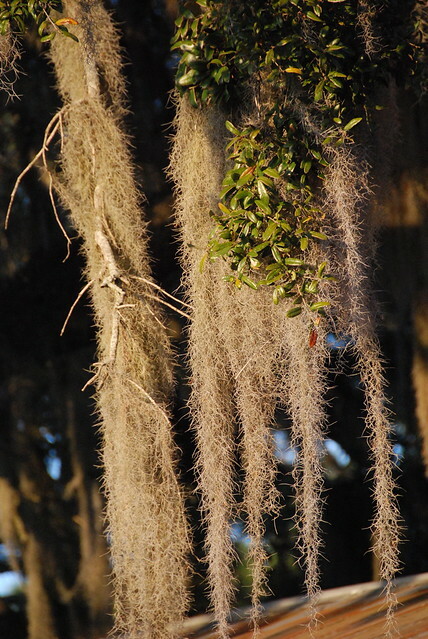 Some things here at the old house in on the island don’t change a lot … the live oak trees, the spanish moss, the way the sandy soil of the yard sinks underfoot. Other things seem to be in perpetual flux. The sounds of traffic on the road a few blocks away. The scents that whisper on the incoming breezes…right now, sweet with jasmine and wisteria…or sometimes earthy and salty with the scent of the marshlands. The changes I mark most are the ones whose change reminds me that, over the span of time, nothing changes so very much. Constant changes. Like the ocean tides. The great horned owls in the hollow of the live oak…mating, brooding, raising their young…and moving on until next time. The anole coming out with the warmth of spring…big dominant males puffing their throats to warn off the small, slender teenagers with their cocky attitudes, and the coy females who in the end, really make all the decisions. Frogs and toads are laying their eggs, and soon that too will signal change as they become tadpoles and tadpoles become frogs/toads and the damps areas of my yard come alive with song. The pear tree has blossomed already. There will be fruit before long. I await the promise of the fig I have so carefully nurtured through all these winters and this spring’s random frosts far too late in the year…. without someone to cover and protect it, there would be no sweet fruit this year. No promise of tiny baby fig trees to grow and continue into the future. Changes that serve as reminders that it is my privilege and my duty to protect this fragile environment around me. I don’t grow exotic plants. I nurture the ones nature placed here…and the ones generations past left behind. Like the ancient azaleas lining the yard and standing in odd circles about the yard where once… decades ago, they surrounded some long ago tree….now lost to the changes of time and the vagaries of weather. Yet the azaleas remain, reminding us of time past…and changes yet to come. Immutable change…as constant and unpredictable as my ocean. I am, by my very nature, someone who seeks ‘connection’ in the world around me. I revel in time spent swinging in the hammock swing under the ancient live oak in my backyard. Staring at the leaves, noting how much the spanish moss has grown since I first ‘introduced’ it to the oak tree five years ago, listening to the vast array of bird songs. I thrive on walks on the beach, the feel of warm sand under my bare feet, the scent of the ocean, unexpected treasures to be gathered, or moments of wonderment in the sea and coastal critters we share these beaches and tidal marshes with. Endangered Wood storks have returned to the coast after a long absence. 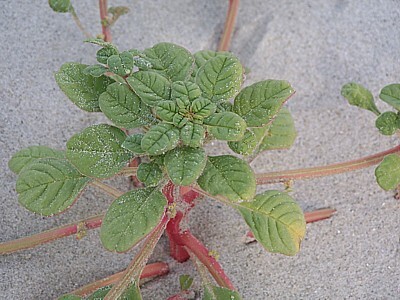 And the easily missed, once common and now making a slow comeback, Sea-beach amaranth can be found if you know what you are looking for…and are open to the tiny humble details to be found in nature. Today I didn’t go anywhere unusual. I puttered about the house and yard. As I was clearing small downed branches from the week’s storms I spotted this lovely hiding near the bushes. 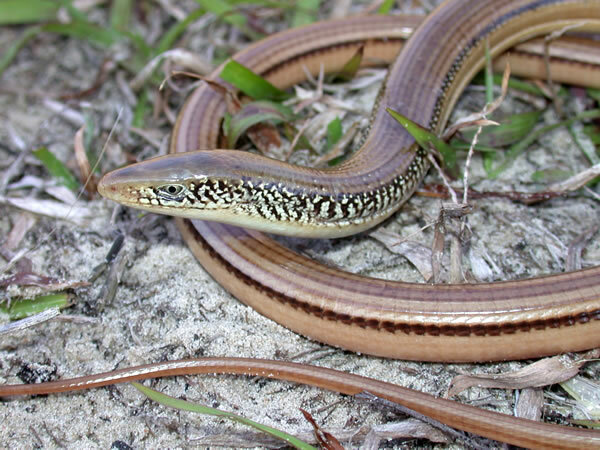 An Island glass lizard, I see them every once in awhile about the yard and love seeing the tiny babies when they hatch in the summer. Always something beautiful to see here. The white azaleas are in bloom in the yard, saved by their later bloom time from the late season frost which decimated most of our early bloomers. The camellias are still heavy in flowers and the wisteria has joined in. By the time the magnolia blooms, it will be swathed in soft purple wisteria blossoms. As I’m sure anyone who knows me will attest…there’s a bit of a storm chaser in me. I love the scent of rain, a good hard storm with thunder that shakes the vaults of heaven, and lightning slashing the skies. Here in the Lowcountry we get our fair share of storms and tonight we had a very lovely one. It began early in the afternoon, gusting winds shaking the trees, and a good steady rain. Just what our newly growing gardens and landscaping needs this time of year. And just when it seemed the forecast for severe thunderstorms was fruitless…BAM! The house shook. The yard shook! Woo hoo! Here came the main event. The dogs took shelter under the furniture. The parrot muttered to herself. I think she finds such displays more annoying than scary. The shaking and thunderous claps disturb her conversations and requests for…well…whatever she is wanting at that particular moment. And no one interrupts Scooter. It brought back fond memories of chasing tornadoes on my rural paper route up in Ohio. Watching the rain come sideways, the lightning outlining the clouds. I do miss those twisters. But this was a nice storm, not so big a rush as those…but fun. Rain came down in torrents. The street filled quickly and was soon spilling up into the yard and driveway. 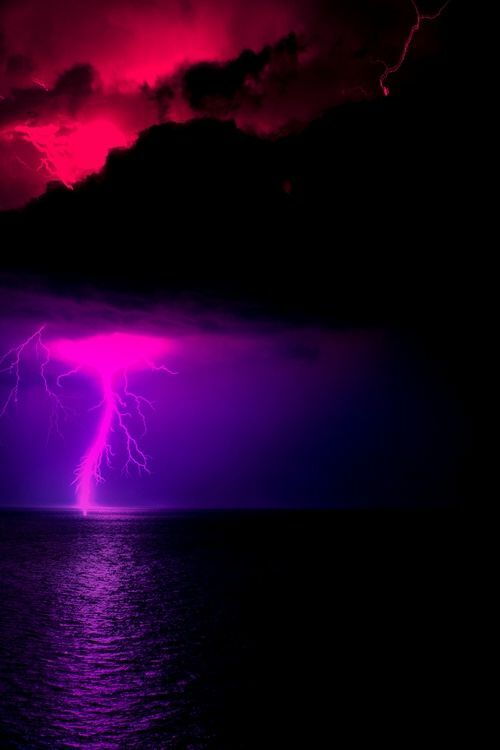 As the storm moved over us out to sea, the lightning changed from blue and silver to pink. A show worth watching as each passing moment provided an even more breathtaking display. Who wouldn’t be mesmerized by such power and beauty? And all too quickly, in just a few short hours, it passed. They say we may get another front later tonight. I hope so. I love sleeping when it storms.